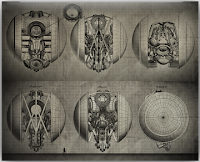 Alex J. Cavanaugh: The Astonishing by Dream Theater, Legends of Tomorrow Review, The Golden Schmoes Awards, Transylvania Writing Workshop, and the Ninja News! I do like music that takes awhile to digest sometimes. Some of my favorites have started just that way. Here to ready your Monday post and wish you a great week! Hi Alex - I expect many of these will come into my brain cell appreciation society in a few years .. takes time to settle out. But amazing how creative everyone can be now-a-days. The Golden Schmoes results will be fun to read .. and that writing workshop in Translyvania ... uh uh: not for me - horror ... no thanks! I am quite the opposite - if the first two listens didn't click with me, I don't think I would try again. Happy Valentines Day next weekend. Have a great weekend off. Hi, Alex, did you enjoy the Superbowl? I hope you and your wife have a nice mini vacation a over the long weekend. Take Care. I'd love to visit Transylvania for the writing workshop but don't think it's in the cards this year. But boy, what a trip that'd be!! So interesting that even rock bands are investing in transmedia for their websites. Wonder if all artists will be heading in that direction soon? That Romania trip would be really, really cool. Writing in Transylvania...WOW. That sounds like an amazing experience. Like you, I don't write horror, but it still sounds fascinating! But you should do it--you might feel inspired to write something vampirish! Hope you and your wife have a wonderful vacation, Alex! Oooo....Transylvania. Now, that'd be neat. The Dream Theater sounds good too. I'll have to look into that - it'd be cheaper than the vacation ;) Enjoy your three day weekend! The Dream Theater album sounds like one that I'd like. The band puts out music that I enjoy and I have some of their CD's already. Since CD buying has not but in my budget lately I'll likely not be buying a copy. Even if I could afford the Transylvania trip I wouldn't go since these days all my travel time is reserved for going to visit my kids and grandkids. My wife has a four day week-end coming up, but I'm sure we'll be staying home. She loves staying home and so do I. Besides I checked some of the local places that I'd consider going and they were all booked up or cost a fortune. Yeah, no place like home. That trip to Romania would be wonderful - with or without the horror side. I have a friend who is from Transylvania and he goes back with his wife for vacations where they have a wonderful time, eat great food and visit most fascinating or beautiful places. Hope you enjoy your Valentine vacation. Time for you to take a rest. Have a great Valentine's holiday with your wife. Glad you're taking a break from blogging and focusing on having fun together. Cathrina, yes I did. Didn't care who won, which helped. Elizabeth, I did it with the Kargrandes site, so why not? Stephanie, can't pass up any opportunity. Hank, I imagine he will retire soon. Lee, you like them? I am impressed! And yes, you had to book early for this coming weekend. Okay, how awesome would it be to write in Transylvania!? That would be AMAZING. I like the sound of the concept album, too--I think rock operas are tricky, but that sounds like a story that could work. First of all, have fun next week. That's the man, taking care of the marriage!!! I need to listen to The Astonishing. Sounds (or will) awesome. That writer's retreat looks awesome! Hope you have fun on your vacation! I'm definitely looking forward to a three day weekend. Writing in Vlad the Impaler's castle certainly would stir some vivid imagining. Have a good day. Dream Theater continues to be one of my all-time favorites. Love them so much! Have a great Valentine's Day! i often find that a new album or band takes a few listens to really get me hooked. Dream Theater sounds really cool--I definitely need to check it out. And that writing workshop in Transylvania sounds amazing. Have a great long weekend! 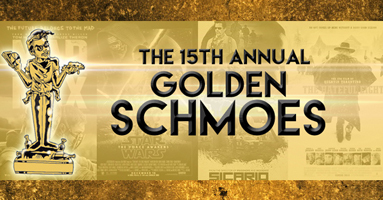 The Golden Schmoes Award sounds like fun. I don't think I'd like Transylvania. Have a great holiday. A trip to Romania would be wonderful. The Golden Schmoes LOL I'll have to go vote today. Wow! The horror workshop sound incredible and like a great opportunity for horror writers. 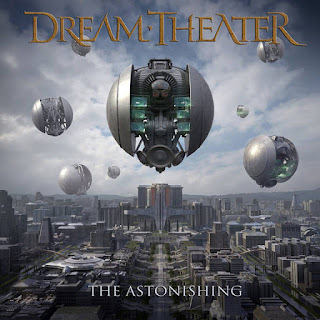 I haven't had a chance to listen to Dream Theater's new work yet, but I've heard its epic. Hope you have a nice vacation! Awe you are a romantic. Have a great vacation. I have never heard of the Golden Schmoes but they sure sound like fun. Transylvania would be very cool to visit. I probably wouldn't get much work done - too busy sightseeing. I can comment on the Super Bowl. Shocked that Cam ate dirt so often. Happy for Peyton and crew. I liked Ant Man and the Hulk with mini-Coke cans, loved the Audi R8 - wow, and the Super Bowl babies from winning team years was amusing. And nice of Chris Martin to allow Beyonce and Bruno to take over halftime. Not one of the best shows by a long shot, but fun. Happy Valentine's week or two to you - have fun. Gonna have to give the new Dream Theater a listen. Love your review of The Astonishing. Isn't it amazing when we listen to something for the first time, our ears don't make sense of it so we think it sounds bad, or less than it is? But the more you listen, the more you realize you like it. Nothing about the music changes; we do. I have a few albums like that. Big prog rock fan, so now I'm eager to check this one out. Enjoy your time off with the wife. That's some of the best time off you can have. I don't think I have to tell you what I thought of the Super Bowl, but I will say that Puppymonkeybaby will now forever haunt my dreams. Wow, that Transylvania workshop sounds like so much fun! Too bad I'm not the traveling type, LOL. Also, thanks so much for promoting my Patreon! I really appreciate you spreading the word like this. Hope you and your wife have fun on your vacation! I am a music junkie and love rock opera. I've never heard of Dream Theater, though. I am definitely going to check out this album. Thanks for the recommendation! I am really enjoying Legends especially since members of the group aren't all heroic types. I don't write horror but I would love to be part of that writing vacation. Enjoy your getaway. Lots of awesomeness to keep busy with here, thanx Captain. I'll be beaming asunder to check out the latest. Have a great Valentines weekend you little Ninja devils, you. Alex, what did you think of the tv spots/trailers for Civil War and TMNT 2 on the Superbowl last night (I watched them both online but saw the Ryan Renolds one on television while my sister was watching football and I peeked out my room)? Have fun vacationing with your wife and Happy Valentines Day! Will miss you but go out and have a life and fun. Legends of Tomorrow is a good show. I'd be too freaked out to get writing done in Romania, but that's a very cool workshop with thicker skinned folks. Glad you'll take a getaway with your sweetheart next weekend, Alex. Thanks so much for posting about the Transylvania workshop, Alex. It's not just for horror writers - anyone with elements of dark fiction in their work, be it paranormal, mystery, or suspense, will love it. Happy Valentine's Day, and I hope you have a wonderful vacation. TSO with Beethoven's Last Night has always been one of my favorite rock operas. Now, you have gotten me intrigued with Dream Theater. LEGENDS OF TOMORROW is fun, although the actress playing Hawkgirl is so bad that it inhibits my enjoyment of the show and clashes with the top-notch acting of the others in the show. Hart, it works very well. Heather, it's epic all right. Joanne, the one with Hulk and Ant-Man was great. Brandon and Bryan, pick it up and set aside a lot of time to listen. yes, we change as the messages sink in. And agree - that commercial will never leave my brain. Chrys, might be a good idea. Sheena-kay, thought those were some of the few decent commercials last night. Oh my, lots going on here. You know, hubby and I watched the new Star Wars and weren't all that impressed (sacrilege?) it was one fight/battle scene after another with not much of plot. I let my local writers' group know about the contest, though I cringed when the submission rules mandated the horrid Times New Roman! I don't understand why so many people worship that outdated, generic typeface. Enjoy your Valentine break! It's my anniversary, we too will be away for a celebration. Maybe we'll catch a movie or two. Thanks for the Parallels shout out! A writing retreat in Transylvania sounds awesome! I had the geekiest conversation about Legends of Tomorrow the other day. I made the statement that Vandal Savage was really powerful and then one of the other guys brought up how he thought that Superman could just easily deal with him and if this was in the same universe, then where are all the truly super powerful superheroes when this guy is threatening the world? I countered with, "I think that Vandal Savage could easily take Superman which is why he's staying away. Basically, it's the magic thing. Superman has two weaknesses: 1) Magic and 2) Kryptonite." And then this launched us into a whole debate about where Dr. Fate is and I said that as far as I knew, he hasn't been introduced yet so we don't know if Dr. Fate is even around in this universe. Have a great, much deserved break, Alex. I've just read a great book by Fiona McIntosh called the Lavender Keeper. Not my usual genre but fabulous! Such great writing. Enjoy your week. Oh, how fun! Enjoy your little vacation with your wife!! 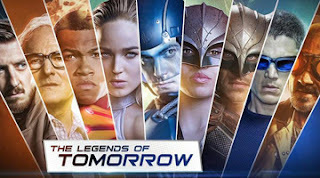 I haven't seen Legends of Tomorrow but it definitely sounds like a show I'd be interested in. I LOVE The Flash too, so knowing it has some of the characters we've seen in The Flash would be really cool. I'll have to check it out! A to Z sign ups are at 644. I visited the 'getting-to-know-you' piece. The Parallels website is a great idea. What a smart batch of writers. Enjoy your Valentine getaway, Alex! I haven't picked up the new Dream Theater, but it sounds pretty cool and maybe I will! Is Legends of Tomorrow on Netflix? That's the only way I watch anything. I'm definitely going to listen to this Dream Theater music! The album cover looks amazing in itself! have an awesome Vday weekend!! I loved DC comics as a kid too! Wow, a lot going on indeed. Watched Legends of Tomorrow, so far so good. Hopefully it can keep things up and not get stuck in the whole "we screwed up time, let's fix it" scenario every single episode. Enjoy your vacation. I know what you mean about having to listen to new music a few times before you start to warm up to it; when I got Trivium's new album last year, it took about 5 listens before I realised I really did love most of the songs. I was adamant that I only liked one or two before that. I was rooting for Peyton and the Broncos, so I enjoyed the Super Bowl. Denver's defense won the game for them. The only commercials that made me laugh were the two where people were throwing a football around and falling into things, accidentally destroying things, etc. It was funny, but it didn't work very well as an ad because I can't remember what they were selling. I'm going to check out the A to Z site and Golden Schmoes. Yay, for three day weekends. Enjoy! I am definitely going to check out Legends of Tomorrow (this is the first I've heard of it - so THANK YOU!). Hope you're having a lovely start to your week! The only problem with Hawkman and Hawkgirl is that they have to carry newspaper around with them all the time. But, they scare the hell out of the rabbits in the yard. I still have some of my DC comics! Yes, I am watching Legends. So far, so good. If I was a horror writer, I'd be all over that Transylvania trip. I sometimes like progressive jazz, but I can't say I'm a progressive rock fan. However, I never say I don't like something unless I try it a few times. So I'll take a listen to this one. Thanks for pointing out the Tethered By Letters competition. I just might submit something. I do want to see what they've done with Hawk Man. Roland, that's a great album. I have all of theirs. Carrie-Anne, I prefer Arial myself. Yolanda, you're welcome! Thought that was cool you set up a site for it. Dianne, that will be cool. Michael, you probably confused the non-geek people around you with that conversation. Kristin, you would enjoy it. Lori, most of them I don't remember what they were selling. And defenses always win Super Bowls. That's a whole lotta info to digest! I've always wanted to go to Dracula's homeland - maybe when I retire. It does give me the idea to maybe suggest a group of writers arrange a writing session at my favorite spooky place in Pennsylvania - the abandoned State Penitentiary! Happy Valentine's to you and your wife, have a great break! A trip to Transylvania sounds pretty cool! Hope you enjoy your break away. Transilvania? Wow. Oh the things that could be told if the earth could talk. And perhaps some of those tales will emerge from the workshop. Enjoy your vacation with your sweetheart. Thank you for mentioning the Parallels' site! I absolutely adore Legends of Tomorrow, and I hope they can keep it up like The Flash has. I don't know why but DC Superheroes (besides Batman) don't really do it for me. I think it might be a case of me not having read their comics or seen the cartoons when I was a kid. I'm more of a Marvel fan I think. Since I like writing vampires, visiting Transylvania would be awesome, but I probably wouldn't write much because I'd be thinking about ghosts and haunting (thank you ghost hunting shows) and be too busy scaring myself! Man, wouldn't I love to go that writer's workshop in Transylvania! The new DC television show has been good so far, though I'm not familiar with the comic background. Birgit, sorry you had to see that one! Lisa, that would be a great idea. Elephant, I'm sure they will. Cherie, cool you guys set it up. Lan, I was a die-hard DC comic fan as a kid. I hadn't heard of Legends of Tomorrow. I'll have to tell Chad- it will add to his belief that you are amazing. I'm still scratching my head at NARAL's response to the commercials. I suppose a sense of humor is not appreciated by that group. I'll check out the A to Z blog. I also read DC as a kid. That Transylvania trip would be an awesome one to make. I love that setting. I'm sure it's inspiring. Thanks for all the news and notes. Will hop over and see your post. Enjoy your time off! All that creepiness would be too much for me. Still need to hop over to the blog. Thanks a million for the shout out on the VPK set. Dream Theater is one of those bands that I've always wanted to listen to, and yet, I never have. Dude of Dudes... can't wait for the A to Z to start how about you? I was just wondering when does it start again? I've been looking everywhere and all the wrong places, but I'm sure it'll get posted soon. Stopped by to say hey... so HEY! Hope you have a rockin' week! I like the sound of the Dream Theatre, time is marching on for the A to Z looking forward to that. Excellent post of much news. That Romanian writer's retreat sounds very tempting, and even though I'm not a horror writer I love ghost stories. I should check it out. Love the art for Dream Theater, too. The Dream Theater album sounds interesting. I'm going to go give it a listen this weekend. I was looking at Legends of Tomorrow last night wondering if it would be as good as Flash. Now I'll give it a try. Congrats to those with new releases. The workshop in Transylvania sounds amazing. The Dream Theater sounds cool! Would love the Dracula Workshop. Some great poetry could happen there. I wish I could go to the workshop in Transylvania. How cool is that! I am definitely watching Legends of Tomorrow. I also watch Arrow and The Flash, which some of these characters first appeared. Ah dreaming, I would love to go to that writing workshop in Transylvania, maybe one day. I am interested in the fiction competition, but don't know that I can enter this time around, but marked for future possibilities. I would love to join A-Z. I look at it every year, but I don't know that I am up for that yet. My life has so much uncertainty in it that I don't know that I commit to post that is published daily for a month. I am thinking about the newsletter tho, but not sure I'm make the the 17th one. I already have a copy of Pets & Kisses to read, looking forward to it. Hope you have a beautiful Valentine vacation. Congratulations to Donna Weaver on her latest release and Happy Valentine's Day! I know some writers who'd love that Transylvania workshop, but I'd prefer something less chilling...two writers I know will be doing an Ireland writers event that would probably be tame enough. Truedessa, well worth the investment. And you can listen to a little bit of it before you purchase. Robin, it's the comics - anything is possible. Juneta, you should try the Challenge one year and see what happens. I want to go to Transylvania!!! How crow that would be amazing! A dystopian rock opera sounds interesting! I hope you and your wife enjoy your time away. Have a happy Valentine's day! Ah, so that's what dystopian rock sounds like. Who knew. I also like (not dystopian) Ima Robot's theme song for The Suits. Unusual, great rhythm, comes together nicely in the climax and dies out well. The rest of your post is very interesting. I'm going to click on some of the links next. Have a nice vacation and Happy Valentines. With all the cool DC shows on the air now, I'm really considering getting a DVR again. For awhile I was so put off by TV I didn't even want to watch cable. So I chucked the whole deal. Now I am playing catch up. Went to the CD Exchange and picked up Flash season 1, Arrow seasons 1-3 and now Legends of Tomorrow have started. I really want to see that, but if I don't get some kind of a DVR I'm going to have to wait for all of these shows to hit DVD in order to enjoy them. Not to mention my favourite reality TV shows. Enjoy the holiday! Take care. I've enjoyed the Flash as well, but haven't been able to catch much of it this season yet. I'll have to try to catch Legends too - I hadn't heard of it yet! Hi Alex! I wish you and your wife a lovely vacation. Just letting you know I couldn't open the link to Tethered by Letters. I think some of the best albums can be the ones that don't click straight away but get better with each listen. 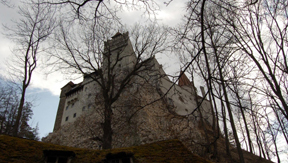 Who wouldn't want to go on a writing retreat in Transylvania? Thanks for the heads up on the competition! We watched Legends of Tomorrow, and it was a little goofy, but not terrible. AND RORY from the most epic season of Doctor Who EVER is the TIME MASTER!!!! Bwa-hahaha! Now that's epic. A writing retreat in Transylvania? How cool is that??? Thanks for all the news as always, Alex. And Happy Valentines Day! I'd like to see Transylvania, but staying there a week and writing horror might be more than my (not very) delicate nerves could stand. Legends of Tomorrow is pretty good so far. Watched a few episodes so far. Going to Transylvania would be fun. I watched the game and I had an epiphany while watching it. So it was great for me. :) I had seen a lot of the commercials on the internet already. Thanks for the shout-out for our new site! Good for you for doing some vaca over Valentine's Day! Oh yeah, I'm beyond fashionably late! Of course, always worth the wait from shy, humble me! Once again, loads of info and links. Visiting your site is like visiting some kind of jolly darned good blogging magazine. Dream "Theater", despite the spelling mistake, is deffo one of the best prog rock bands. Right up there with Emerson, Lake and Palmer and an obscure Canadian band named, "FM". Avoiding any mention of that bizarre alphabet challenge, I wish you and your wife a most enjoyable Valentine's Day. Hi Alex, I am planning to read a lot of books this month. Need to make up for last year. I love the cover of A Savage Ghost. Good luck to Donna! could see the half-time show only to fall asleep and wake-up just when it was over. *sigh* I enjoyed the game though. 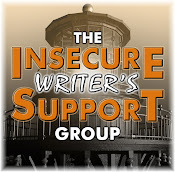 On another note, I am new to the IWSG and does everyone need to do an article for the next blog? Or only those designated? Jeffrey, sounds like you need to splurge. Ella, it is amazing! You need to get it. Mary, if it gave you a story idea, that's awesome. Gary, you are never late. Leigh, you didn't miss much with the commercials. And yes, everyone posts the first Wednesday of the month. 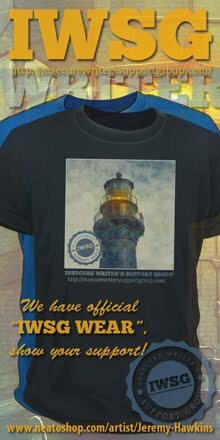 Welcome to the IWSG! Wow, sounds like a lot of going on. I never read many comics when younger, but I've enjoyed the screen adaptations thus far. I hope they continue being great. Happy Valentine's Day to you and your wife! I really love 'The Flash.' It's so well done. I'm now a big fan of 'Supergirl.' I was hoping for good things with 'Legends of Tomorrow,' but it's been a bit disappointing. Although I'd watch the heck out of a show about the Earth 2 universe with Captain Cold as Mayor! (that was in the last flash ep). I hope Legends gets better. Perhaps there are too many characters? Transylvania would be incredible. Especially if it is anything like it is in my mind! I've been so out of touch with words this winter. Wish it wasn't so. I'm definitely out of the loop where TV and albums are concerned. Thanks for letting me know what's new and what you like! Congrats to Donna and JL, and I hope Heather gets a lot of support! Wishing you and family a great break and a very happy Valentine's Day! Great view on the album. I've added it to my music playlist! MsMariah, it's not as good, but I'm enjoying it enough to stick with it. They have been thinning out the cast. It's the mark of a special band when they can make music that grips you, year after year! Glad you are enjoying Dream Theater's new album. Great pun about The Flash. I'm a comic book collector, Alex, and I'm afraid my life won't be long enough to enjoy everything that's out there comicwise or moviewise. Today I saw Deadpool. It's much better than the trailer led me to believe. Where would we be without our navigators? I hope the "Mecca of Horror" thing helps tourism, as Romania has enough problems without that! Also funny that it got the stigma primarily from an Irish novelist. I'll totally check out the Legends show. Captain Cold was surprisingly fun on The Flash. And I've never been a big DC fan, but I am glad they've been putting out solid TV content for a while. I love the Marvel TV shows I've watched, and it's good to know that fans of the Distinguished Competition are also getting good stuff. I hope that you had a wonderful break with your wife, Alex. Mine has done wonders for me. I'm almost ready to jump back in. Transylvania? Wow. How cool would it be to visit!! Really interesting post. Transylvania workshop sounds really interesting! I'll have to check out The Astonishing, sounds great! I'm all intrigued about this album now. Off to visit the A to Z blog! Huh. Came back to see what was happening this week, and no Alex. Hope things are going well, man. I'm not into rock but I dig that cover, looks so cool!! I was happy my Broncos won the Super Bowl, but felt a number of the ads were ho hum. I like Legends of Tomorrow so far, I mainly decided to watch it because I like Captain Cold from the Flash, and I was excited to see Arthur Darvill (Rip Hunter) again because he was great in Doctor Who. I hope you had an enjoyable time off! I recently watched the first few episode of Flash, I can't catch up with them fast enough! I'm also excited to get into DC's Legends of Tomorrow! It should be great! Hope you and your wife had an amazing Valentine's Day Alex! I hope you and your wife had a wonderful vacation. I love that album cover for Dream Theater. Thanks for the info on the Transylvania workshop. My Monster Moon coauthor and I want to go there some day for research, but a horror workshop sounds like a nightmare to me. I'm such a chicken, I have to add humor to our spooky tales. I'm going to send the info to Kathy anyway to see what she thinks about it. So here we are heading into the end of February. Already. It's going by so fast. Have a good one, Alex! I followed the link to the website. Wow! That is some amazing artwork. I'm going to go back there as soon as I leave here. I'll try some of the music also. Thanks for the tip Alex. Not sure if I'm the write audience for The Astonishing band. BUT...I'm intrigued enough by your review to give it a try. Thanks everyone! Had a great vacation and I'm glad to be back.